Burnet Consolidated ISD prohibits bullying on school property, at school-sponsored or school-related activities, or in any vehicle operated by the district. Bullying may be verbal or written expression or expression through electronic means, or physical conduct. Bullying is not tolerated by the district and any student or parent of a student who believes that the student or another student has experienced bullying or that a student has engaged in bullying is encouraged to immediately report the incident. Retaliation against anyone involved in the complaint process is a violation of district policy and is prohibited. Students or parents may report an alleged incident of bullying, orally or in writing, to a teacher, counselor, principal or another district employee. A report may also be submitted anonymously and electronically by clicking HERE. Please note that after submission of the complaint to the district employee, the district may assign the complaint to a campus administrator to follow up on the submitted complaint and any other important matters pertaining to the complaint. We encourage you to communicate with your designated campus administrator during this time. More information about the district’s bullying policy can be found online or the campus administration office at Policy FFI. Studies indicate that more younger students than ever have earlier access to mobile devices. All social media platforms have systems in place to report bullying, misuse or abuse of the platform. Links have been provided below for Facebook, Instagram, Snapchat and Twitter. 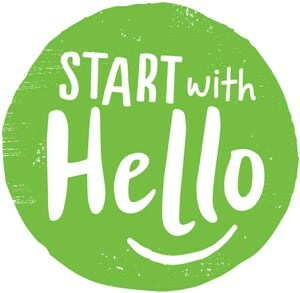 Start With Hello, a program in all BCISD schools, teaches students the skills they need to reach out to and include those who may be dealing with chronic social isolation and create a culture of inclusion and connectedness.